Knowing myself for picking dramas because of the actors, I feel so proud of myself this time because the reason I picked up Faith wasn’t for the actor. Yeah Lee Min-Ho, I’m looking at you. Although you’re the hero, but this time, I really have to apologize because you’re not the reason. It’s all thanks to my girl crush Park Se-Young. While people are tuning in for Lee Min-Ho or Kim Hee-Sun, I am proud to say that I watch this initially for her. Her portrayal of Princess No Guk is good and she’s utilizing her youthful charms to show the behavior of a Yuan princess who is literally dragged to Goryeo as a wife to a new king who doesn’t even have any idea about his own country. She might look like a tough woman outside but beneath her cold exterior, she is just like a normal woman who tries her best to accommodate her husband in her very own way. Of course, using her own ways to solve the problems surrounding Gongmin is bound to attract some misunderstanding in between, and that happens quite a few times. From the beginning, No Guk tried to reach out for Gongmin, to the extent of learning his language, but the young king, a prince back then, was so annoyed of her nation and literally pushed her away before she had any chance to prove that she’s different from others. Poor No Guk. Although she initially held a cold war with Gongmin, getting on his nerves at times, it’s really nice to see her slowly adapting to him. No Guk shares her thoughts and she doesn’t hold back the fact that she is always on his side. She never thought Gongmin as weak; instead she gives him encouragement and strength to fight only using her words. Plus, isn’t it every woman’s duty to be their husband’s supporter no matter what happens? 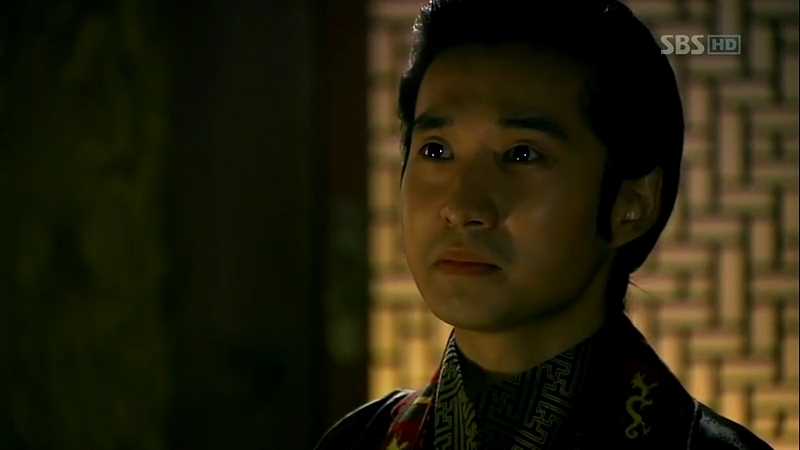 If No Guk is depicted as a tough, matured woman despite her young age, it’s a different story for her husband King Gongmin portrayed by Ryu Deok-Hwan. He’s regarded as a weak ruler of the Goryeo at first, but to me, he looks like a boy who doesn’t have any confidence to anyone, let alone himself. Maybe it’s due to his bad experience during his early life: being dragged to a foreign country to be held as hostage and then sent back to his country to become a ruler without any proper guidance. That is probably why he view himself as an incompetent ruler for Goryeo and even though he is the king, he doesn’t have the confidence to regard himself as the king. Well, that lack of confidence do have some advantages to him. Look, his eyes even have the gaze of a young boy’s. Because he has been living without any pride even with his status as a Goryeo royalty, he can take in almost every hateful comments and dislikes towards himself. That makes him open to any kind of response, be it good or bad, but at this point, not everything is good news to him. He is a human after all, thus he sometimes snaps at himself, chiding his own incompetence as the king. But slowly, he’s gaining confidence by interacting with the people around him, hearing their thoughts and reaching out to them and at the same time, gaining his people’s trust. Twelve episodes later, he looks as wise as a king should be. As Gongmin is the king and he has the opportunity to communicate with many people, he has many meaningful conversations with them, but my favorites are his combo with Choi Young and also with his dearly wife No Guk. Both of them are smart and good with their words, and that’s the possible cause why their relationship was so severe at first. With Gongmin purposely keeping a distance from his wife who was part of the despised Yuan and No Guk’s counter attack, treating him coldly, there’s little room for them to open up to each other and actually try to understand each other better. They keep challenging each other, taking turns to hurt the other person but slowly, they have no choice but to depend on each other. No Guk is no doubt in love with him, but I’m not sure if that’s the case for Gongmin. He cares for her and he has started to share his thoughts with her, a development that I am very happy with. It might be small, but it’s a big step for someone like him to actually share his insecurities with others, and for that, his wife is the most suitable person to lend her ears to him. I’m looking forward to their future interactions, and while their stares once could burn my screen, having them talking to each other could melt my screen. No, even with both of them together in one place, my heart is exploding with happiness. Yes, I am a Gongmin-No Guk shipper and I am anticipating to see more of them: how their love will blossom and how the Gongno couple is going to conquer Goryeo together. 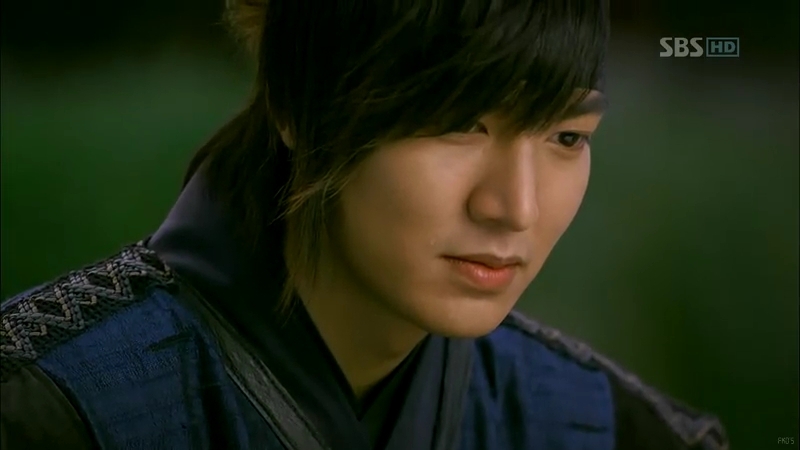 Gongmin and Choi Young’s relationship is very special to me. Not in the sense of their bromance or anything, but because this is the first time Gongmin tries to reach out for the lazy General, giving his trust to Young to be his first friend. It seems to be superficial but it’s a big step in Gongmin’s way to grow out of his own shell. Young doesn’t hide anything from him and he too, in return, tells him everything about his fear and he isn’t afraid to ask. Gongmin touches Young’s heart with his sincerity to become a good king for his nation, the Goryeo who had always been stepped on by Yuan. At first, Young isn’t that interested in the king’s business, treating him like another king that would soon be deposed and replaced with another Yuan Dynasty’s pawn. But the new king is somehow different from others. Instead of submitting himself obediently under Yuan, he wants to prove himself worthy as a ruler although he has zero confidence. Gongmin keeps inquiring Young about the country that he left for eleven years and by trusting Young with his own judgement, Young in return begins to trust the young king, allowing him to make his own decision instead of relying on him all the time. 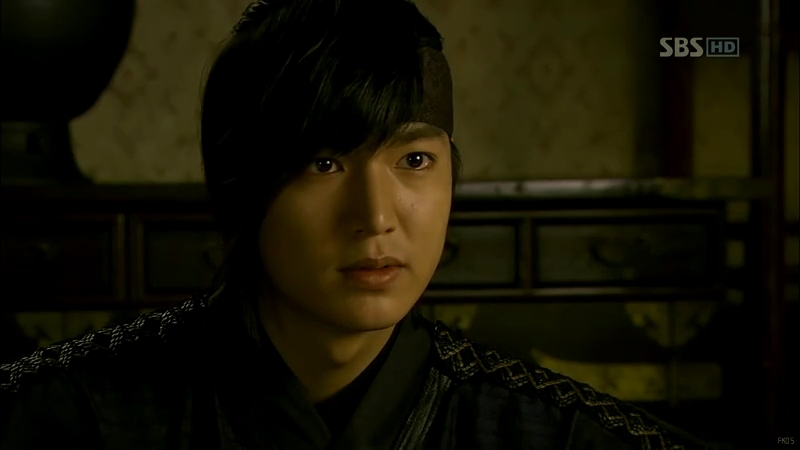 His relationship with Gongmin is what makes me love Choi Young, and honestly, although Lee Min-Ho plays the character, I didn’t find him interesting at first. His lifeless attitude at times made him more irritating than Gongmin. However, it’s all in the past and the brand new Choi Young is a General that every king dreams of: a loyal and trustworthy man. The way he describes Gongmin to the scholars makes me really proud of him. Finally, he has something to do instead of living while counting days to his death. If Gongmin could hear Young’s description of him, he will be so proud of his subject. Now, I find myself wishing that he won’t be harmed so that he will be able to protect the king and at the same time, become his closest friend. 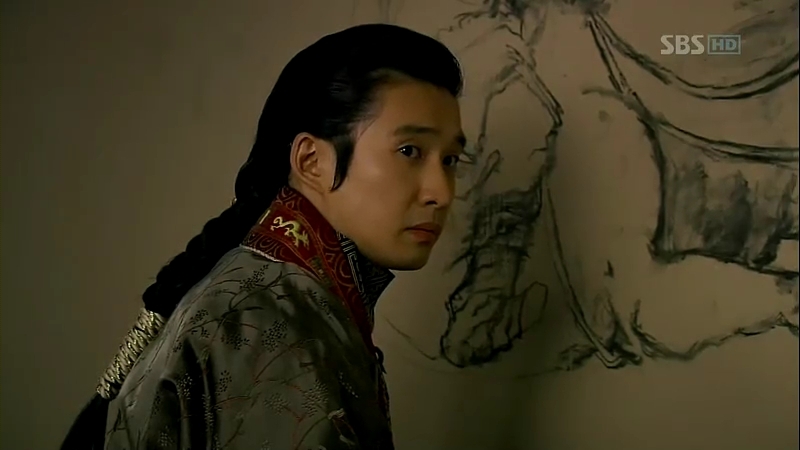 Young even teases Gongmin about him bringing No Guk to stay with him, making the young king blushing with embarrassment. That is a good sign for them on their way to become a legendary partner in the history. Speaking of the word partner, it makes me think of Eun-soo. The doctor Yoo Eun-soo (Kim Hee-Sun). Although she’s one of the main characters, she doesn’t have that much character development despite having a handful of screen time. She is a character that cause other characters to develop themselves and makes the plot moves. At least that’s what I thought, but I think it’s because she is a doctor and has a good control of her own self. 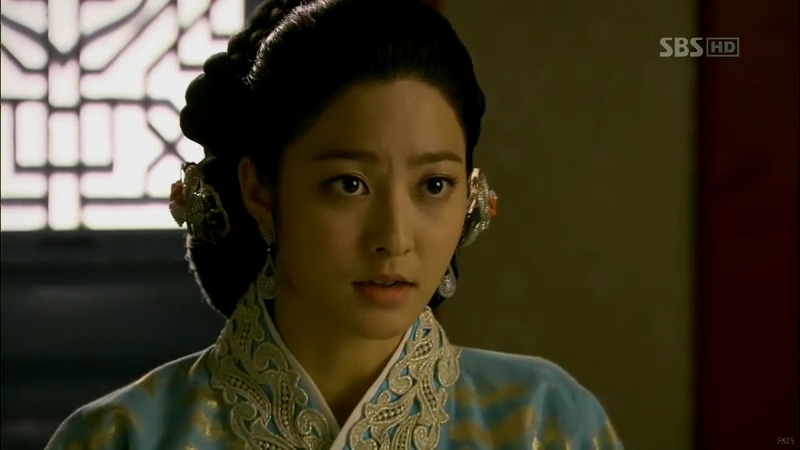 She was self-centered at first, but her stay in Goryeo did change her view a bit about her job. Instead of whining about the lack of things in that era, she begins to focus on her duty to treat the patients with the help of Jang Bin and utilizing what is available around her. She has a connection with everyone, since she’s the important doctor from Heaven. Eun-soo is the comic relief in the series and I like her because she can do anything as she’s a Heaven’s subject. She can speak with Gongmin like a drinking buddy and treats No Guk like her little sister while playing with Ki Chul and giving her support to Young. I’m okay with the developing romance between Eun-soo and Young because that is another reason for Young to treasure his precious life. As for the remaining characters: Magic Fan Jang Bin (Phillip Lee), Icy Palm Ki Chul (Yoo Oh-Sung), Red Robe Hwa Soo-in (Shin Eun-Jung), and White Hair Chun Eum-ja (Sung Hoon), I find them interesting although they aren’t the focus of the drama. Jang Bin serves as a friend and colleague of Eun-soo, helping her with all his might. I can’t truly hate the bad guys and girl because they aren’t the stereotype antagonists. They are very intelligent, and with their special powers, they aren’t the usual threat to the good side. With Ki Chul as the evil scheming guy, Hwa Soo-in as his loyal but indifferent sworn sister and Eum-ja as his sworn brother who seems to have other things in his mind on the bad side, I am anticipating what will happen to them as the story progresses. I am actually glad the production decides to change the drama title from “The Great Doctor” (神醫) to “Faith” (信義). Although the pronunciation for both words in Hangul are the same (신의), they hold different meanings. With the title Faith, I think there’s a lot of things that can be explored and I fall in love with this drama because it defines different types of faith that exist in this world. The faith between a ruler and his subject, husband and wife, lovers, friends, and even teammates are all depicted in this drama. Faith isn’t a perfect drama to begin with; it has its own flaws here and there , but the simple plot is what makes me appreciate the drama more. Since the drama is planned for 24 episodes (and I really hope there won’t be any extension! ), we are now on the halfway mark. 12 episodes have aired and I wish for the remaining 12 episodes to be as enjoyable as the episodes before. Joonni, for her awesome recaps with Softy. Her blog is where I read recaps of Faith before I started watching. Ripgal, another Gongmin-No Guk shipper. *nods* in agreement with everything. I really want more N and G scenes. I think they’ve finally started to open up to each other but probably the writer is going to throw some challenges in their way again. While it hurts me to see them hurting each other, I LOVE watching their relationship grow.